IBM further strengthened the ties between its enterprise mobile app development platform and the cloud with today's announcement of MobileFirst Foundation 8.0. Cloud computing is a focal point of the company's revamped mobile application development platform (MADP), which was just featured as a leader in the MADP space for the fourth year in a row in a research report published by Gartner Inc.
MobileFirst Foundation 8.0 is enterprise middleware that provides cloud-based Mobile Back-end-as-a-Service (MBaaS) for enterprise mobile apps, along with many other associated products and services to round out the development/deployment lifecycle. The platform comprises: MobileFirst Server and MobileFirst Operations Console; MobileFirst Command-line Interface (CLI); MobileFirst client SDKs; and MobileFirst adapter tooling. For local installations, a Developer Kit Installer is also provided. Citing IDC research that forecasts a mammoth increase in enterprise cloud computing spending, the company said in a news release today that "This move towards a cloud infrastructure requires a mobile application development platform uniquely designed to provide the essential back-end services for cloud deployments while enabling enterprises to use the front-end tools of their choice to create powerful mobile experiences with greater speed, security and performance." 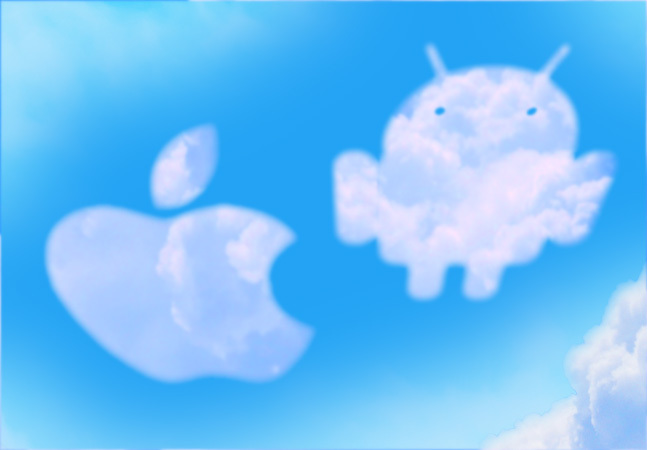 In selecting "the front-end tools of their choice," MobileFirst developers can use popular IDEs such as Xcode for iOS development, Android Studio to target Google's mobile platform and the company's own MobileFirst Studio, based on the popular open source Eclipse IDE. IBM just last week released a MobileFirst Studio 8.0 plug-in for Eclipse. 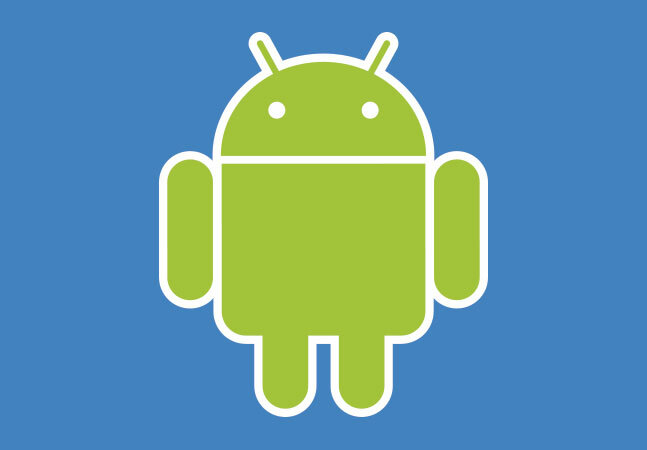 MobileFirst developers can create native iOS and Android apps or use technologies such as Cordova or Xamarin to build cross-platform apps. Developers also have their choice of package managers, such as npm, CocoaPods, Gradle and NuGet, and Maven for Java Adapter build automation. Beyond the front-end tooling and package management options, MobileFirst sports associated services to support the entire development process. 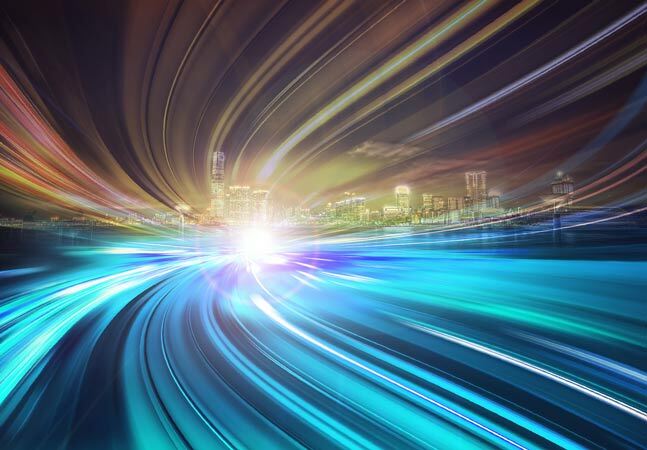 "Built on hybrid cloud technology and designed for speed, IBM MobileFirst Foundation 8.0 provides the essential back-end services that enable enterprises to focus on creating rich, powerful mobile experiences for the cognitive era," IBM's Jerome Joubert said in a recent blog post. 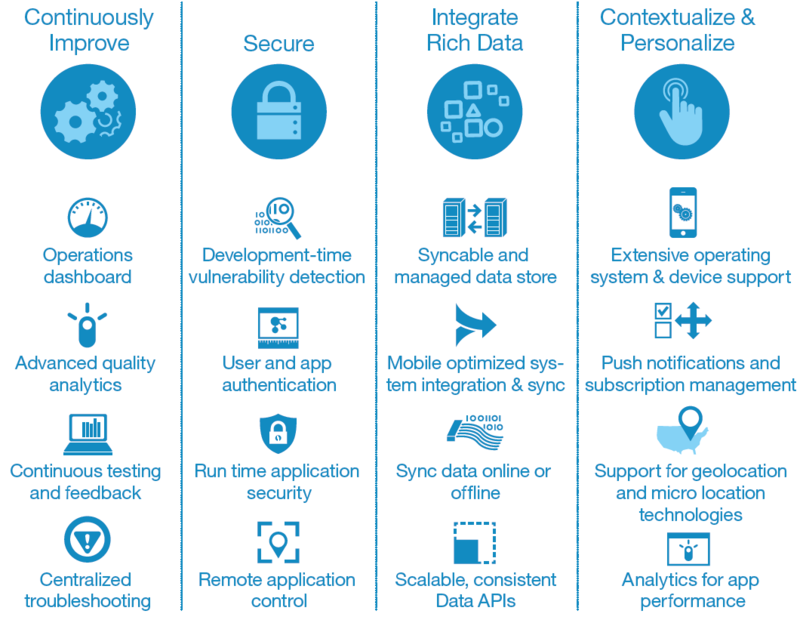 "IBM MobileFirst Foundation 8.0 comes with a simplified app development methodology, advanced mobile security, optimized and streamlined processes, ability to swiftly sync your changes, connection and integration with back-end systems, increased analytics insights, and much more." With its focus on the cloud, IBM cited more flexible cloud deployment options as a highlight of the new platform release. "In the new version, developers can now instantly provision an IBM MobileFirst Foundation environment on the cloud or on premise with one click to quickly create innovative mobile apps using the front-end tools and framework of their choice," the company said in a statement today. "IBM MobileFirst Foundation offers the flexibility to start small on the IBM Cloud, then move and scale production workloads on premises or in a dedicated cloud environment. This is a huge advancement in speeding the app development process." IBM also touted better security; live, real-time updates to enterprise apps on the back end; intelligent, real-time app analytics; and API Connect integration. "Complement your mobile strategy with multi-channel API creation and management," the company said of the latter feature. "Create interfaces between back-end systems and mobile apps using IBM API Connect to add automated, visual and coding options for creating Node.js and Java microservice APIs. Integration with API Connect makes API lifecycle management easier for developers, IT departments and business leaders." To guide developers on using the new platform release, IBM has already published developer labs detailing how to work with the new Hybrid Wallet and Hybrid Messenger. The company has also published a set of tutorials, quick start guides, SDK information and other resources, detailing how to set up environments and work with Cordova, iOS, Android, Windows 8.1 Universal and Windows 10 UWP and Web technologies. IBM said it has supported more than 5,000 global clients with mobility initiatives, noting that the MobileFirst platform is used by companies such as the Mexican newspaper, El Universal; the non-profit Rescue Bank; the Canadian Tangerine Bank; and the Florida insurance company, Security First Insurance. This global reach was highlighted in the recent Gartner report on MADPs, which placed IBM in the "leaders" portion of Gartner's Magic Quadrant metric, ranked first in "ability to execute" and just behind Kony Inc. in "completeness of vision." 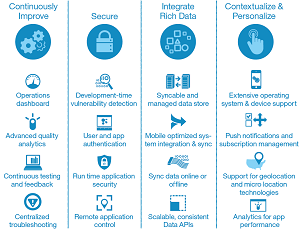 The IBM MobileFirst Platform is a comprehensive MADP spanning the full software development life cycle and offering elements addressing app design, development, testing, deployment and management for mobile hybrid apps (using Cordova). An extension of the IBM MobileFirst Platform is IBM MobileFirst for iOS, where IBM has partnered with Apple to develop more than 100 template apps with specific iOS feature support. IBM has added new App Builder and API Connect products to enhance front-end and back-end productivity. The MobileFirst App Builder gives developers a visual development tool that generates native mobile apps, along with Objective-C and Android Java code that can be edited in the native IDEs. The MobileFirst platform leverages IBM's Bluemix cloud services for advanced mobile back-end services (such as Cloudant storage, new mobile content manager, and Watson services) to create and deploy highly contextual mobile apps. IBM has also created a Swift developer sandbox environment that allows developers to create and test server-side components to complement front-end Swift development. On the "cautions" side of things, Gartner noted that MobileFirst is a complex platform that may include more functionality than many enterprises need. Also, developing mobile apps with IBM can get expensive, Gartner said, "because it often leads to additional investment in professional services as well as potential product investments such as Watson services and other Bluemix services." IBM didn't provide pricing for MobileFirst Foundation 8.0, inviting interested parties to contact the company for that information. Gartner noted that: "Typical costs for an initial mobile development project (in terms of direct licensing fees and related payments to the vendor) are at the enterprise end of the spectrum (more than $100,000 per year)."